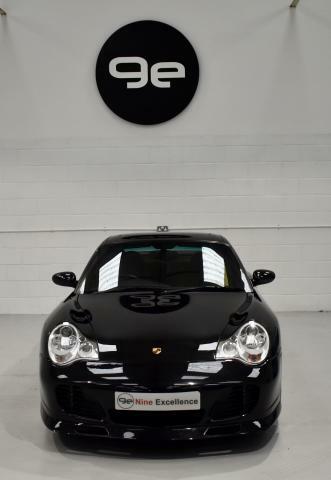 Additional information Porsche extended its 996 range to include the 996 Turbo S. It was available as both a Coupe and a Cabriolet and went on sale in August 2004. 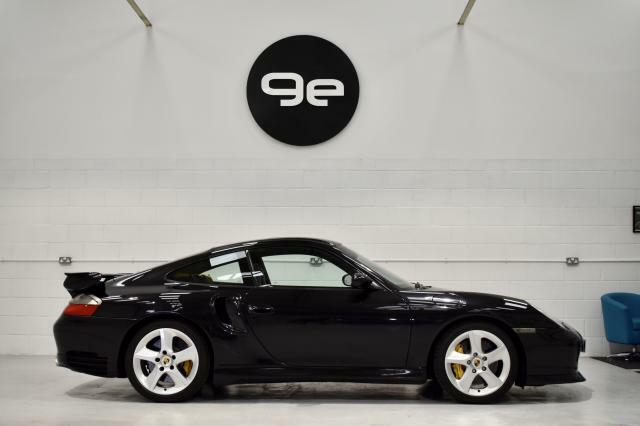 The 2005 911 Turbo S, with power from the 3.6 twin-turbocharged horizontally opposed flat-six cylinder engine, produces 450ps and 457 lb.-ft. of torque between 3,500 and 4,500 rpm. 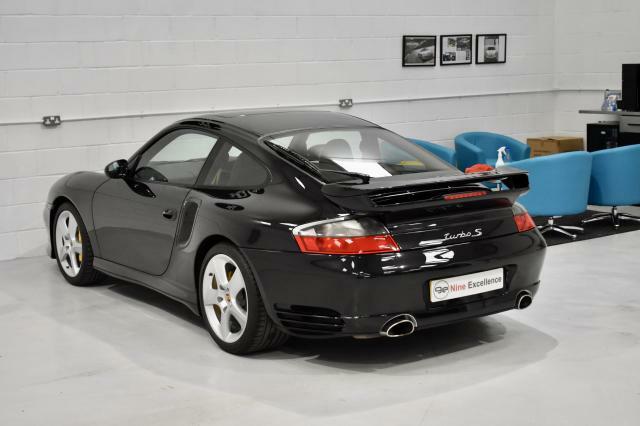 The standard 996 Turbo produced 420ps. The Turbo S has a maximum track-speed of 190 mph (307 km/h) and accelerates from a standing start to 124 mph (200 km/h) in just 13.6 seconds, 0.8 seconds quicker than the 911 Turbo. 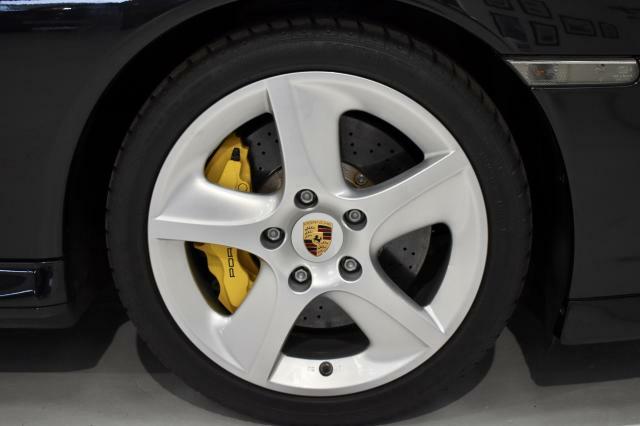 Standard equipment on the 911 Turbo S included further developed Porsche Ceramic Composite Brakes (PCCB). The internally ventilated ceramic discs have a diameter of 13.78 inches, both front and back. The front brakes use six-piston monobloc fixed callipers rather than the four-piston version used on the 911 Turbo. Ceramic composite brake discs provide a 50-percent weight savings compared to conventional metal discs. This reduces unsprung weight, enhances shock absorber response and vehicle handling. In addition to the Turbo S logo on the rear lid and on door mouldings and centre console, the Turbo S is identified by its 18-inch wheels painted in GT silver metallic with colored Porsche crests. Other standard features include cruise control, a six CD changer system and a green-tinted band at the top of the windscreen. Inside, the Turbo S features aluminium gauge faces and a Turbo S logo on the tachometer. Worldwide Production for the 996 Turbo S (including both Coupe and Cabriolet) was 1563 cars. This makes this model very limited in numbers.